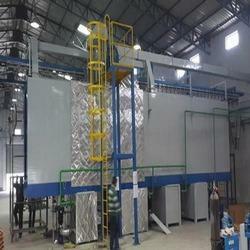 Prominent & Leading Manufacturer from Pune, we offer dip pretreatment system, spray pretreatment system, pretreatment tunnel with electrically heated tanks and spray pretreatment tunnel. Aiming to satisfy our clients, optimally, we provide our clients with a quality approved array of Dip Pretreatment System. The offered range is designed by our skilled professionals, using optimum quality raw material and latest technology in accordance with the specifications and requirements of our clients. Furthermore, the entire range is well checked against various quality parameters to ensure its quality attributes. Our offered treatment systems can be avail from us at market leading prices. By utilizing skills of our experienced professionals, we are manufacturing, exporting & supplying a comprehensive assortment of Spray Pretreatment System. 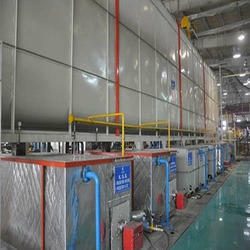 We are offering an excellent quality of Pretreatment Tunnel with Electrically Heated Tanks. 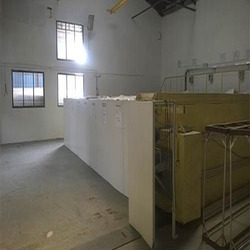 This product passes through a tunnel with a number of process stages preparing the product for the application process. These process stages are designed to the specific type of product. The tunnel pretreatment design is customized on the basis of the product. We design the numbers and length of the process stages. Also temperatures and materials are taken into careful consideration. ideal-line pretreatment systems are insulated to prevent condensation and to decrease heat loss. We are instrumental in providing our clients with a perfect quality Spray Pretreatment Tunnel. The offered product is widely demanded and appreciated by our clients for its brilliant features. Our dexterous professionals manufacture this product, using the finest quality raw material. In ahead of their final dispatch, this is quality checked by our quality controllers on various parameters set by the industry. Clients can avail the offered range from us at market leading prices. Looking for Pretreatment Tunnel and System ?